- 100% RECYCLED PREMIUM PLASTIC our eco-friendly rugs are tightly woven, for added durability, from straws made up of recycled plastic. Strong and hard-wearing but soft and comfortable underfoot. The power loomed threads are woven with skill and precision. Actual colors and size may vary from the image(s) shown due to manufacturing limitations. 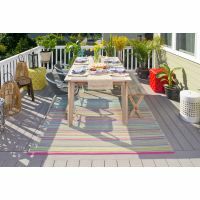 - MOLD & MILDEW RESISTANT, UV RESISTANT TO PREVENT FADING and sun damage, these multi-functional rugs won’t cause damage to your lawn or decking. They are also practical for indoor use, spills will just wipe clean. Comes with a one year warranty. Easy to take care of, just shake or hose off for easy cleaning. The manufacturer recommends using a non-skid pad beneath the rug (pad not included). 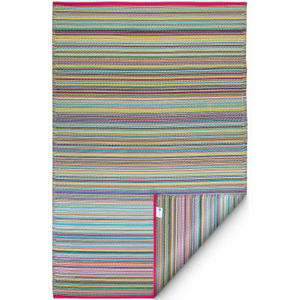 - REVERSIBLE, INDOOR/OUTDOOR USE our rugs are constructed to withstand the outdoor elements all year round. Equally they will be right at home in the interior of your home, with many versatile designs to choose from. These rugs are reversible allowing you to have two different looks in a matter of seconds. 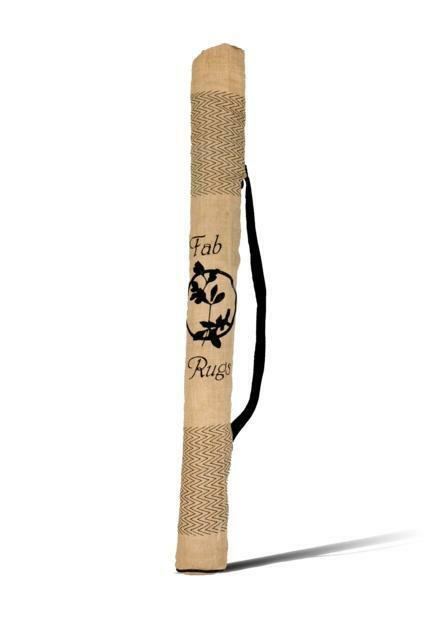 - JUTE CARRIER BAG with shoulder strap included, making the rug portable and easy to transport for beach trips, camping or picnics. 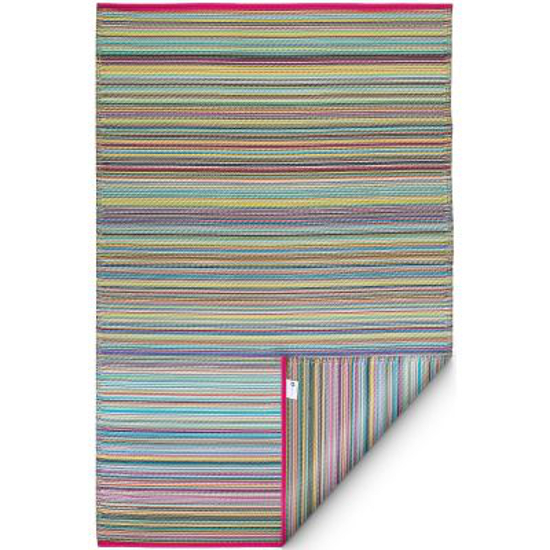 Jute Bag not included with 3 ft x 5 ft and 8 ft x 10 ft size rug. - GOODWEAVE CERTIFIED our rugs are made by adult hands, never those of children, we partner with Goodweave to certify our rugs are child-labor-free. 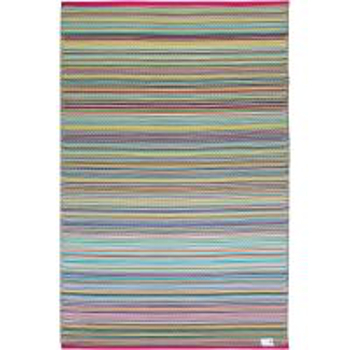 These beautifully crafted rugs are made following the fair trade principles. Fab Rugs add a touch of elegance to your home décor. They are made using premium quality recycled plastic straws which are tightly woven together to offer strength, softness and beauty. Being plastic, moisture will have no effect on the mat and it will not attract mildew.